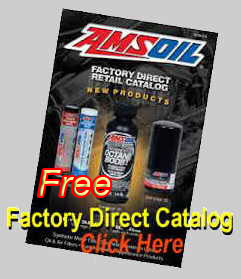 For years I've been promoting the best, Amsoil. 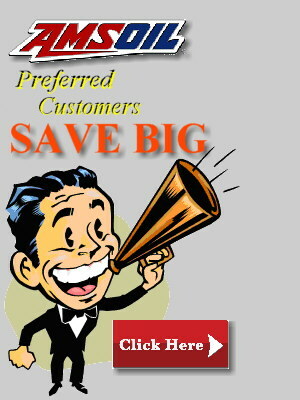 Now industry watch dogs are speaking out about the limitations of mainstream synthetic motor oils, and guess what? "just because it's synthetic doesn't mean it's any good"
"if you think a (API) synthetic oil can match European-spec lubes, think again." "Just because it's a synthetic doesn't mean it's a top tier product." or "spruced up" for Europe! 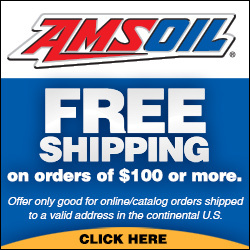 With Amsoil oil, you get a high end product for ALL global specs. With Amsoil you truely get a "World Class" product built to a high performance level, not quality compromised to sell at a certain cost. The thought that you might be contributing to the wear and premature aging of your customer's engine, every time he or she comes in for an oil change, probably never crosses your mind. However, recent evidence uncovered by SSGM points to the fact that some of the lubricants sold in North America could actually be hazardous to engines in some European vehicles. High-level executives from major multinational oil companies reluctantly admitted to this problem, and were willing to give us details provided we keep their names and the names of their companies out of this story. The predicament, according to sources, stems from the fact that when European manufacturers like VW, BMW, Mercedes-Benz, and others design a vehicle, they do so with the express thought that their engines will use a very specific grade of lubricant with very specific properties and additives. Unfortunately, when these vehicles are exported to North America, where the necessary lubricants are not readily available, they suffer from a variety of problems including premature wear and engine sludge. Part of the blame, according to sources, can be placed on the API. "Europeans build their cars and impose higher requirements on the type of oil than we are used to here in North America," says the source. "They have more of a multi-tier system within their specifications, whereas the API uses the lowest common denominator as a guideline. It is by its own admission, within API 1509, a minimum spec." The API runs oil standards in the US, while oil standards in Europe are run by ACEA - the Automotive Manufacturers Association. "ACEA standards reflect a wider complexity of the offering of engines on the market right now," says Herve Blanquart, VP Automotive, Motul North America. "On top of that, manufacturers have introduced their own standards, most of which start with the ACEA standards, and go further in specific tests to solve specific problems and address specific issues." 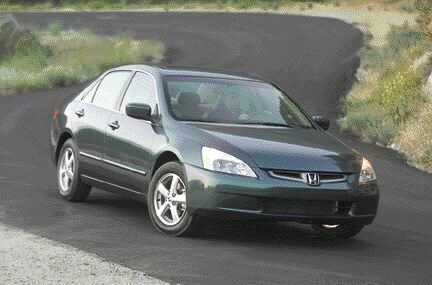 Honda and Ford specify 5W-20 grades for improved fuel economy. Several brands are available. Must you use a specific brand of oil? 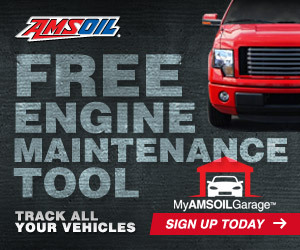 In the U.S., the Magnuson - Moss Act states that a manufacturer may not require a specific brand or type of aftermarket product unless it is provided free of charge, meaning that manufacturers will work with lube suppliers well in advance of a new engine launch to make sure that oils will be available. This AMG-modified supercharged Mercedes V-8 is typical of a high-performance European import. It's essential to keep these owners aware of the need for factory-spec lubricants. In Europe, aftermarket service stations usually supply lubes that meet OEM specs, are unique to each OEM, and sometimes to different vehicles put out by that same manufacturer. Some European manufacturers have their own approval systems wherein they tightly control what lubricants people are allowed to use in their vehicles. "They have a list of approved fluids that they keep up-to-date," says another source. "They actually have bureaucracies within their companies to keep those approval lists current with their latest requirements. Some of these manufacturers also apply these regulations, but to a limited degree, in North America." Servicing in Europe is typically performed at qualified repair shops and Europeans don't have the level of DIY that we have here. Nor do they have the generic do-it-for-me that we see here in the quick lubes. They have many more franchised dealers/service centers or tightly controlled authorized serviced centers where the OEMs can more stringently control the type of oil being used. Since Europeans are more or less forced to use the proper lubricants, they enjoy the luxury of longer oil drain intervals. Unfortunately this concept can, and often is, distorted when European vehicles make it across the Atlantic. Our source explains, "There is in general a longer drain associated with the higher tier oils in the European system, so the thought process is - if we don't allow the longer drain in North America, consumers should be able to get by with API spec oils - but it leaves manufacturers open to the type of problems Mercedes-Benz recently experienced." The problems alluded to by our source have to do with a class-action lawsuit filed by owners of some 1998 through 2001 model year Mercedes-Benz cars who said they weren't warned that non-synthetic motor oil could cause premature engine wear. The settlement will cost M-B more than US$32 million. "The long drain indicator used by Mercedes is predicated on using Mercedes-Benz-approved oil, which is a very top quality synthetic oil," explains our source. "When those vehicles came to the States, somehow dealerships weren't impressing upon the consumer the need to use the right oil. And whether or not the dealers were doing so, some consumers were putting in regular API-spec oil, resulting in problems." And if you think a synthetic oil can match European-spec lubes, think again. "A good quality synthetic could solve the problem," says our source, "but in the case of M-B, for example, you're dealing with an extremely high-spec oil. Not every synthetic is going to meet that spec. Some only meet the baseline API specs. Just because it's a synthetic doesn't mean it's a top tier product." So what can you do to keep your customers and yourself out of trouble? Our sources say, "Shop owners must keep in mind that there are numerous special requirements for European vehicles and that they shouldn't always be knee-jerking to the stuff in the big tank. If you call M-B, Volvo, or VW, for example, they should be telling you that their vehicle needs ACEA spec products." For example, a VW Golf and a VW Golf TDI look exactly the same, but require two very different oils. "We have a friend who owns a TDI," recalls the source, "they went into a VW dealer and got generic API-spec stuff when that engine needs a higher-spec oil. That's the problem." Some of us may be under the impression that the more expensive the vehicle, the better the oil it must need. But the incident with the Golf TDI demonstrates how a regular middle-class vehicle can require a very specific high-spec oil. Dealerships should be up to speed with what's needed where, while independents may not be, and may have to educate themselves. Copyright © 2003 Business Information Group.